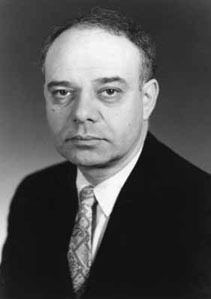 American chemist and crystallographer Jerome Karle worked with mathematician Herbert A. Hauptman to develop a mathematical approach to crystallography, called the "direct method". Their technique allows the phase of x-rays diffracted by crystals to be calculated directly, to deduce the three-dimensional molecular structure of chemical compounds. Karle and Hauptman were classmates in chemistry classes at City College of New York in the 1930s, and shared the Nobel Prize for Chemistry in 1985. His wife is crystallographer Isabella Karle.